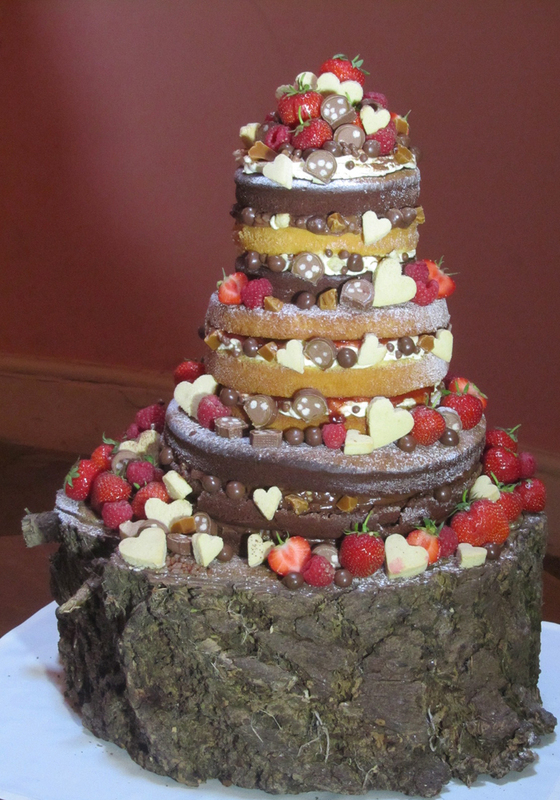 My Boost Wedding Cake was created for my friends Rosie and Owen’s wedding, both lovers of a Boost bar and cake. Rosie’s being a victoria sponge and Owen’s chocolate. As a result both cakes, chocolate bar and all the components found within a Boost both feature highly, quite literally in tiers. Cream and jam sandwiched together the victoria sponges and a whipped chocolate ganache studded with toffee chunks filled the chocolate layers. 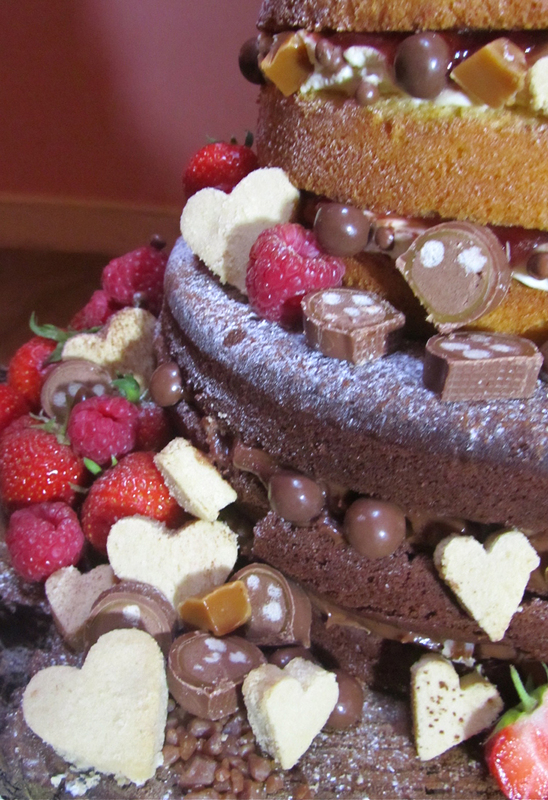 Together with fresh strawberries and raspberries I decorated and flooded the cake with Boost bar slices, shortbread hearts, more toffee chunks and chocolate covered caramels. Apart from highlighting the elements within a Boost, the surrounding confectionary and berries proved popular with the guests and were disappearing off the tree trunk cake stand before the cake was even cut!